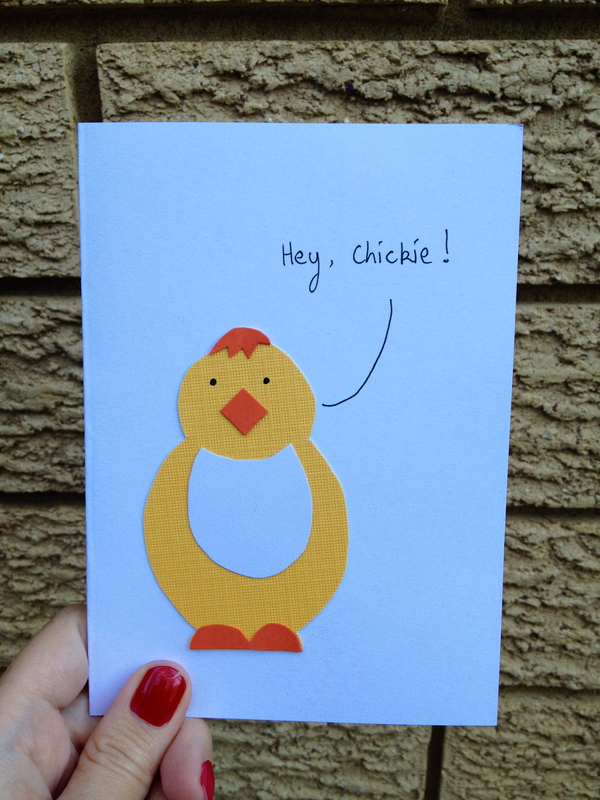 Today I made an Easter Chick card. Just you wait till tomorrow’s craft! It’s a cutie! The chickie is a cute chick indeed! Great work! That’s adorable. You should frame it and keep it in your office it’s so cute. 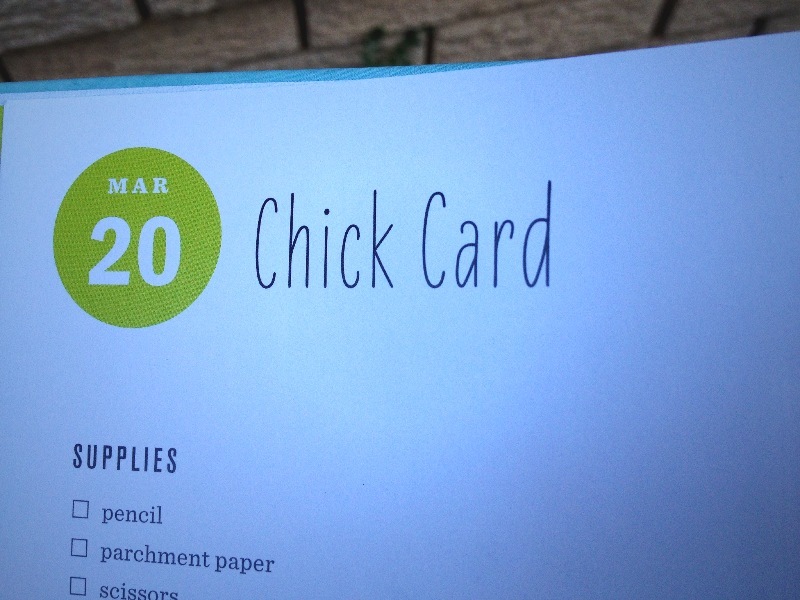 What’s the paper you use for the chick? I always like that kind of different, textured card you use – gives it extra flavour! Rajita, for some reason I initially read your comment as ‘what’s the purpose of the card’… Don’t ask me why, but my response makes no sense given what you actually asked. I get card stock from lots of different places, but my favourite is to actually just buy these 20 page ‘books’ of card from big w. They come in lots of colours and patterns and are really affordable and good quality. I can confirm that that is where the card stock comes from in this case. And that is the correct amount of thats.